Yesterday we celebrated the Resurrection of our Lord Jesus Christ. Today I submit that the entire American church needs to be resurrected. Some church leaders are looking for a new awakening and others are calling for a new reformation—that too. But the American Church that was so popular a ‘Palm’ generation ago is now being assailed in this culture and some are demanding its submission and ‘crucifixion’ while others are saying that it is already over for the church as we to knew it. I believe that ‘a New Day’ is about to dawn upon the America church. Some will call it revival, others a new reformation, but the new move of God will resurrect the American Church and it will rise up and fulfill its calling and destiny while there is yet day. It is a new day and a new Biblical year and we are still looking forward to revival. But sometimes there is stuff that must come first or may come along with it that we would rather avoid. But the word ‘Revival’ only brings to our minds the ‘good stuff’ and all of the ‘not so good’ that came along with former moves of God is usually forgotten or disregarded. 500 years ago on October 31, 1517 Martin Luther tacked 95 theses to a door in Wittenberg, Germany. Luther wanted to bring revival and reform to the church but schism came instead and a few years later he was excommunicated and then the wars followed for several hundred years. But the church was reformed and change came to all of the church regardless. One wonders if he would have proceeded differently if he had known all the stuff that was going to follow. One thing for sure, the Reformation was a Move of God. More than anything else the most important result was access to the Bible and real knowledge of the written Word of God- the Logos. Before 1517 The Word was only available to the Priests, Monks, and scholars and very little of it was allowed to ever trickle on down to the regular folks. Not only that but ‘worship’ services were in Latin which only the educated could understand. Coming out of the Reformation, services started being conducted in the vernacular and an exposition and teaching of the Scriptures became an important part of worship. Later the Bible was translated into the languages of the people and with the invention of the printing press it became available for regular folks. The church was changed by the Logos of God. Most of us in Charismatic and Pentecostal churches look back on Azusa Street in 1906 as the beginning of another Move of God that changed the church. This time it was the Rhema Word of God that was restored along with all of the Spiritual gifts. A good historical case can be made that the ‘gifts’ never really departed entirely from the church but few regular folks in the church had the opportunity to experience them. The point is, major change and a new move of God including some kind of new ‘reformation’ is ahead for the church and we can expect that the revival we are hoping for may be far different than our romanticized expectations. Fact is, the church is always ‘looking forward’ to the past revivals and is never fully prepared to receive the new one. To demonstrate what I am talking about let’s take a look at Acts. Before all of the good stuff in Acts 2 we find in chapter 1 that all the church devoted themselves to prayer. Since Pentecost came 50 days after the Passover they could have been praying solid for at least a month or so. Not only that, but for only this one time in history the entire church and everyone in it was actually prepared to receive a move from God. 20 the sun shall be turned to darkness and the moon to blood, before the day of the Lord comes, the great and magnificent day. In light of all of the major disasters lately, these verses might be far more relevant to a coming revival than we want to admit. Also, a falling away and major persecution might well come along with it. We continually pray for the Kingdom to come and yet many of us ignore the implications. Jesus did not come to build a mega church or start another religious system nor will he be coming again to establish a new one on the earth. The Kingdom of God is already established. During his life on earth he was constantly bucking up against and challenging the religious organizations, leaders, and the latest theologies of his day. I believe that one of the major characteristics and goals of the current and coming world revival is the shaking and realignment of the church and leaders toward actually reflecting the Kingdom rather than religious traditions of the past and the current popular thinking of the day. Many of us who are looking for revival and a new awakening are trying to relive the glory of past revivals wanting God to do the same thing to us all over again. Those are actually lessons that the church should have already gotten and incorporated in our DNA along the way and should have prepared us for the coming Kingdom on earth. There is nothing wrong with drinking from the wells of past revivals and we should incorporate and take serious every past move of God. But they are suppose to be like an oasis that supports us and helps us on our current journey. We are called to move on. When we stay at those wells and glory in the past we may end up limiting what God can do in our midst today. Some have actually camped out at one well and have established churches and religious systems and theologies that reflect that particular move of God and refuse to move on and question anything different. The Reformation was a major move of God that brought major changes to the church. A major emphasis of that move was on the logos Word of God, the Bible and true theology. There are many churches and denominations today that have refused to move on from that major well. When it comes to Azusa Street, there are many Pentecostals camped out at that oasis questioning the water everywhere else. One of the major problems of the Charismatic movement is a tendency among many to seek out only the rhema and the newest ever more radical ‘spiritual’ thing while ignoring what God did when he inspired Luther and Calvin and others to seek and nail down the foundational teachings of the Bible. What if we really got what we prayed for? What would happen? Any move of God that brought the Kingdom into the midst of our churches today would bring radical changes. The church is called the ‘Body of Christ’ and is called to do what he did. Now that would be radical and that is what we are facing in the move ahead. It will not be about building mega churches or organizations or making new religious systems or establishing theocratic political powers. It will be all about bringing the good news of the Kingdom of God to all of the world before the coming of the Lord. An Israeli woman and her doctor expressed shock and amazement when the woman’s massive malignant tumor, initially found in her leg, vanished almost completely after five months of no treatment, only intensive prayer. Response: This healing was actually presented on TV in Israel. When healings and miracles are referenced in the major media it helps to create an environment where revival hope and faith can expand into the dominant culture. The major revivals in our past were all witnessed and referenced by the major media of that day- mostly in newspaper articles. One of the more difficult factors to overcome in America today in order for a new awakening to actually get into the dominate culture is the fact the major mainstream media is overwhelmingly secular with very little regard for religion and particularly Christianity. 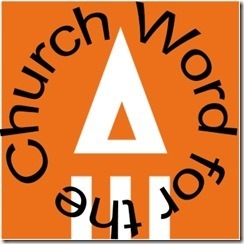 -Is Churchianity Getting in the Way of Revival? Is Churchianity getting in the way of revival? I believe that it is. We all have pre-conceived ideas about how God can move among us and bring revival. For most Christians it is confined to the 4 walls of a church building or maybe a special tent or conference. Even when we go to the streets we take our Christian culture, language, and music with us. But what if God really wanted to do something different in our midst? Well we have a myriad of ‘heresy hunters’ to take care of that unfortunate turn of events. After all, we might want revival but most American Evangelicals expect it to come during a 20 minute sermon surrounded by 3 hymns and a couple of prayers with an offering in the middle. Plus it better be over in exactly on the hour cause the next service starts when the big hand strikes 12. Of course I am being ridiculous but mix in your own form of worship and church structure or denominational traditions and see where God is really allowed to move. What if he wants to move downtown on main street or in the neighborhoods, or maybe at your work or business? what would that look like?